How to Download Apple TV NFL Sunday Ticket on Apple TV 4? 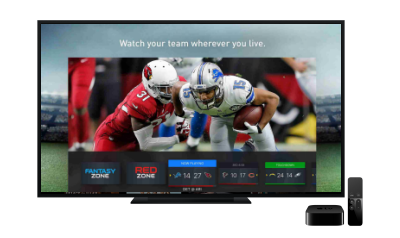 Users with an Apple TV 4th-gen set-top box as well as a NFLSUNDAYTICKET.TV subscription can download Apple TV NFL Sunday Ticket directly from the APP store. First off you need the APP: The official Apple TV NFL Sunday Ticket APP hasn't been made available until 2016, one year after the release of the 4th-generation Apple TV in October 2015. Unfortunately, NFL Sunday Ticket APP doesn't sports relatively good downward compatibility with the earlier versions of Apple's set-top boxes. This means if you already has an Apple TV 4 or have an eye for the forthcoming 5th-gen, NFL Sunday Ticket Apple TV is the most native option to watch the games live. The next thing to do, which you can skip if you have an NFLSUNDAYTICKECT.TV subscription already, is to create an account at nflst.directv.com and get yourself the packages starting from $69.99/month for 4 months. 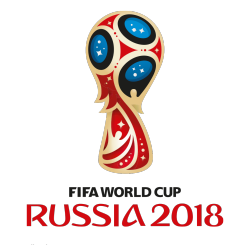 This also requires checking through your residential eligibility: NFL Sunday Ticket subscription has found its way to college students, residents living in places where DIRECTV satellite TV signals have been blocked, or other qualified residential units. To check through your qualifications, please visit the homepage: nflst.directv.com for the auto address detect. I've read countless articles this year or month that NFL Sunday Ticket was landing on Apple TV 4 for the 2016 season. You can imagine my excitement as I don't have Directv ... Anyway I've been going to the channel app store frequently and have yet to find the Apple TV NFL Sunday Ticket. Am I missing something? We're already in pre week 1. Is it possible that the NFL Sunday Ticket will be embedded within the NFL APP currently in store? I've done a lot of research but still can't find a straight answer other than its coming. Any help greatly appreciated! 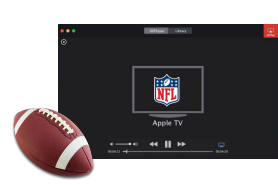 If you're someone like JZ, rushing to download Apple TV NFL Sunday Ticket 2017 for the forthcoming football games but find nothing on your very own tvOS Store, please kindly understand that Apple TV 1/2/3, aka manufactured before 2015 don't have access to it. AirPlay NFL Sunday Ticket from PC/Mac to Apple TV. If you're an old fan of National Football League, chances are that you've stayed with NFL Game Pass for some time, which gives you access to preseason games and relays of every game, though there's an Apple TV APP for it just like NFL Sunday Ticket APP Apple TV, unfortunately, the U.S. Game Pass is not a good idea if you want to watch live games – what it offers is the relay. Any student engaged in a 2-year or 4-year program can watch NFL Sunday Ticket without Directv through the NFLST.TV U package. Available at $24.99 per month only for a 4-month subscription, or $ 99.96 for NFL 2017 season, this plan is simply a gift of surprise as it includes all the superior features that even basic NFL Sunday Ticket doesn't come along: aka the Red Zone and Fantasy Zone which allows to watch with in-game video highlights and latest player news & expert analysis. Like we're introduced above, the free 5KPlayer is more than an AirPlay sender to stream NFL games from Mac/PC to Apple TV, it is an agile online video downloader shipped with multi-thread YouTube video downloading ability, as well as downloading NFL games from other sports streaming sites. If you're a sports junkie also fond of watching NBA playoffs on Apple TV and tennis games like US Open, you're find 5KPlayer a real god-send both in terms of streaming quality and compatibility. That been said, now free download this AirPlay sender for your Mac/PC (Windows 10) to get better streaming experience than Apple TV NFL Sunday Ticket 2017. How to stream NFL full game 2017 on Apple TV free and watch NFL without cable? Here are 6 best ways to watch NFL Thursday/Monday Night Football.